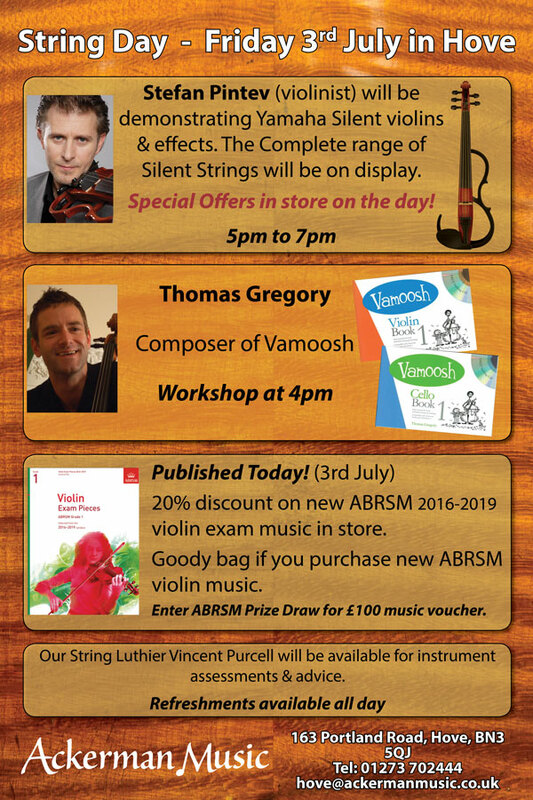 We are having a special String Day on 3rd July @ our Hove shop, to celebrate the release of the new ABRSM violin exam music for 2016-2019. Click on the image above to see more details. Stefan Pintev is coming over from Germany, and will demonstrate the Yamaha Silent Violins, and some of the effects that can be achieved. Thomas Gregory will be talking about his string series VAMOOSH. All offers are only available in store & on the day.